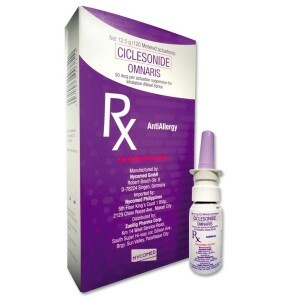 Omaris nasal spray is the brand name for an allergy treatment that is called circlesonide in its generic version. It is a corticosteroid form of nasal spray that prevents the release by the body of the substances that cause inflammation. Normally Omaris is used to treat nasal problems that are associated with seasonal allergies and hay fever. 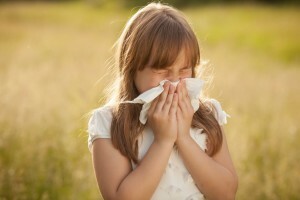 These can be symptoms one might experience such as congestion, sneezing, itching, runny or stuffy nose. The specific mechanism that it uses to reduce such symptoms is not currently known. There may be other uses for Omaris that are not related directly to this given article. One can check with one’s doctor on any questions on that aspect of Omaris usage. One should only use Omaris as prescribed. There should be no change made in the dosage taken without the doctor’s approval. And if the symptoms appear to get worse or do not improve after two weeks the person should be sure to inform the doctor immediately. It can take up to five weeks for symptoms to improve during some seasons. And if a person stopped taking any steroid medications while taking Omaris it can lead to steroid withdraw symptoms. If one has any questions on the prescription or about the instructions for its use they should be directed to one’s health care provider or the pharmacist. There are certain conditions one needs to be sure that the doctor knows about before taking Omaris. One should not take the medication if one is allergic to ciclesonide. And if one suffers from one of the following conditions then the doctor should be informed, asthma, glaucoma, tuberculosis, a sore inside the nose, a recent nose injury or if one has been using an oral, injected or inhaled steroid. There are several different types of them so the person might need to check with the doctor to be sure. And one should also let the doctor know if one is allergic to any drugs. In any case the doctor may need to adjust ones dosage should one have one of these problems. Omaris may be harmful to an unborn baby. An expecting mother or one who thinks she will become pregnant while taking the medication needs to inform doctor. It is not known if Omaris will pass on to a nursing baby in the breast milk. Therefore, a breast-feeding mother should not take the medication without notifying the doctor. Plus long-term use of steroid can affect their growth. So the person needs to be sure to the child who uses the product is watched for any changes in growth. One should only use Omaris as directed. And to be sure that one keeps the medication stored in a way that is both dry and away from heat or moisture. There are specific instructions that are given regarding the actual usage of the medication. Any questions should be directed to one’s doctor. Then too one should also to be sure that if any problems arise from its use that they are also given to the doctor. While taking Omaris the person should be careful to watch for any signs of possible side effects. These can include things such as irregular menstrual periods, acne or increase hair growth, increased sweating, depression, anxiety and usual thoughts. On a lesser frequency the person might experience things such as headaches, nosebleeds, stuffy nose, sore throat and ear pain. 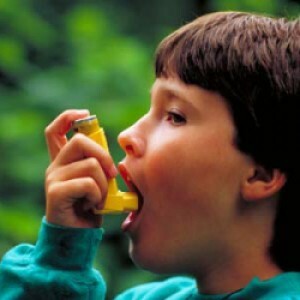 There may be other symptoms that also can take place. The doctor can be expected to provide that information. Should one suffer from any of these problems they need to check with the doctor right away. Then to follow whatever advice that he or she gives. And if there are any other questions that come up one should also consult the doctor for help.